A trained public speaker since 2000, and an accomplished Professional Organizer, I’ve been putting my heart and soul into my individual clientele and businesses in order to help them all reach their full potential. By doing so they find they’re saving time and in effect, living a simpler life. I’d enjoy an opportunity to meet with you and see if my services and skill-set is right for you! Audiences are motivated, inspired and able to take actionable lists of “what to do” after attending my presentations. I’m looking to talk to small to medium businesses, church groups, women’s seminars, and retirement communities to get them started on the difficult but achievable goal of calming their chaos. Are You Tired of Feeling Unorganized, Having a Home Filled with Clutter, and Living with Dread of Trying to Dig Out of Your Chaos? Then look no further. 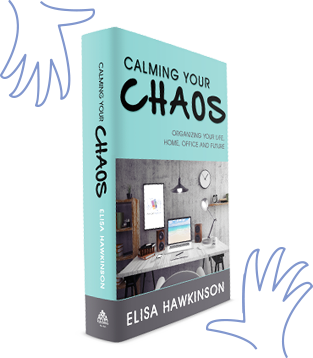 After reading Calming Your Chaos, you will join the legion of Elisa Hawkinson devotees who have taken her guidance and become motivated to tackle kitchens, garages, closets, drawers—and the world! 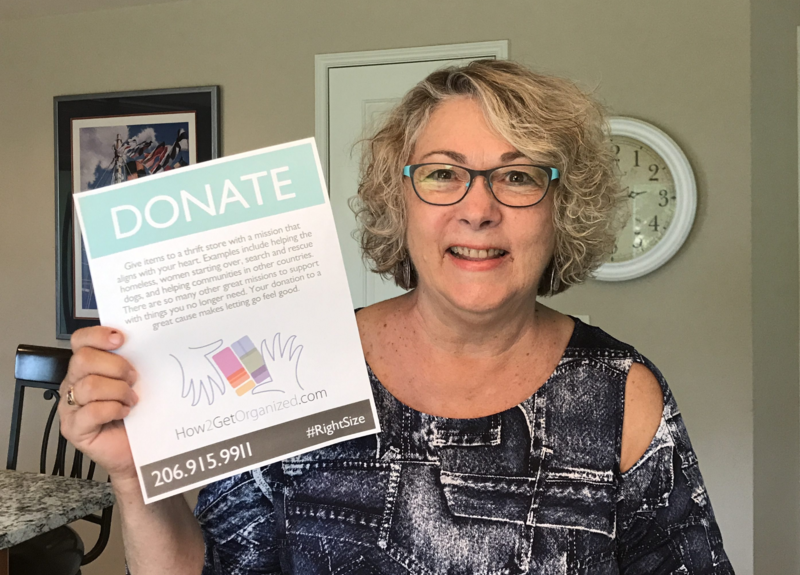 Beyond just cleaning and organizing, Elisa shares her own story of how she overcame many barriers in her early life to experience the transformation that has set her free to be whole and follow her dreams. Now, her ever-growing passion is to help people find wholeness in their homes, careers, and lives. Are You Tired of Doing it all Alone, Having a Home Filled with stuff, and Not Knowing Which thing to Tackle Next? Join our supportive community of Smooth Organizers. This encouraging community celebrates progress no matter how big or how small. We know life changes and some seasons are simple and some are almost unbearable. We don’t want you to go it alone! Join forces with a positive, purposeful, and generous group of people making a difference as Smooth Organizers. Are You of walking into your office and being disgusted and feeling defeated before the day begins? 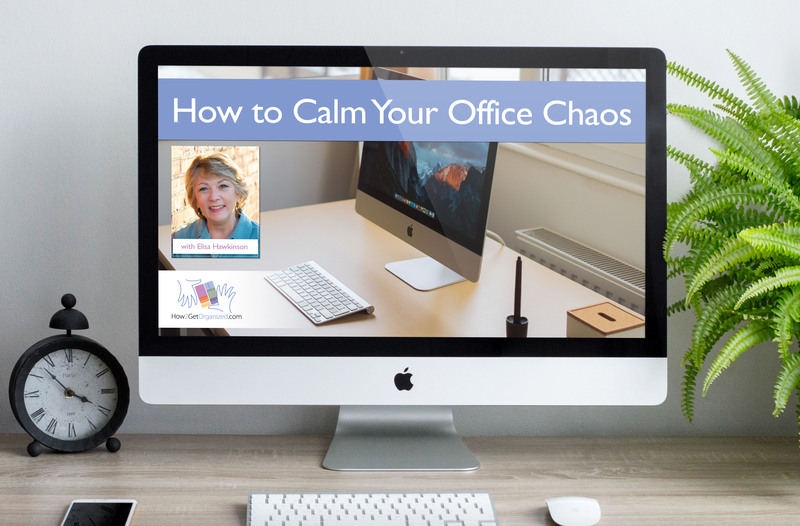 You can learn to Calm your Office Chaos in 20 minutes with some hands-on work and with the right system. When I show people this filing solution, their eyes light up and they get motivated and excited to set it up. It’s so much easier than you might think. Get your Rightsize worksheets today! Download these helpful worksheets and start rightsizing immediately. These worksheets will get your whole team on the same page. We often have different helpers on our downsizing journey and these will keep them focused and productive. Print a set for you and one for a friend.